Let’s be honest- you’re probably more excited about the kids heading back to school then they are. 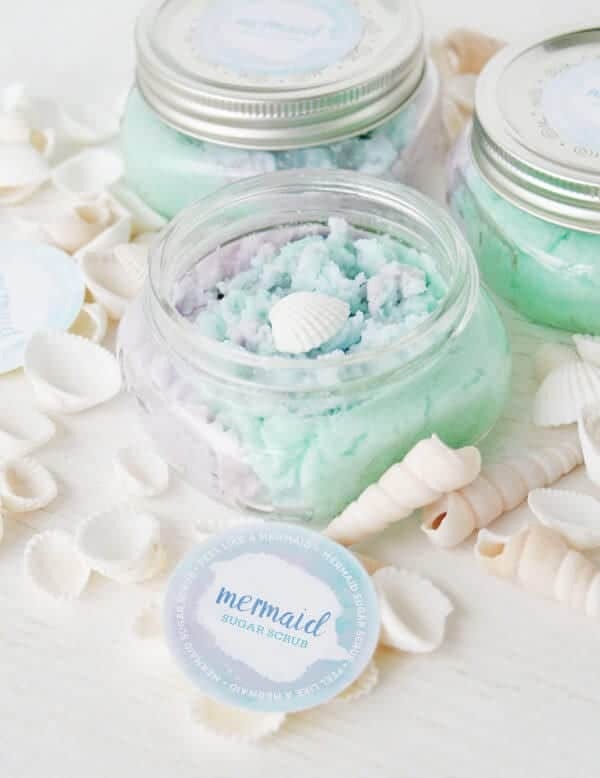 That being the case, perhaps you should take on some fun DIY craft projects that will help get the kiddos looking forward to heading back! I’ve rounded up some super fun (and easy) back to school crafts that just may change their minds on leaving summer behind. Kids still use pencils in school right? Well then forget those boring yellow #2’s, hello color-blocked pencils! 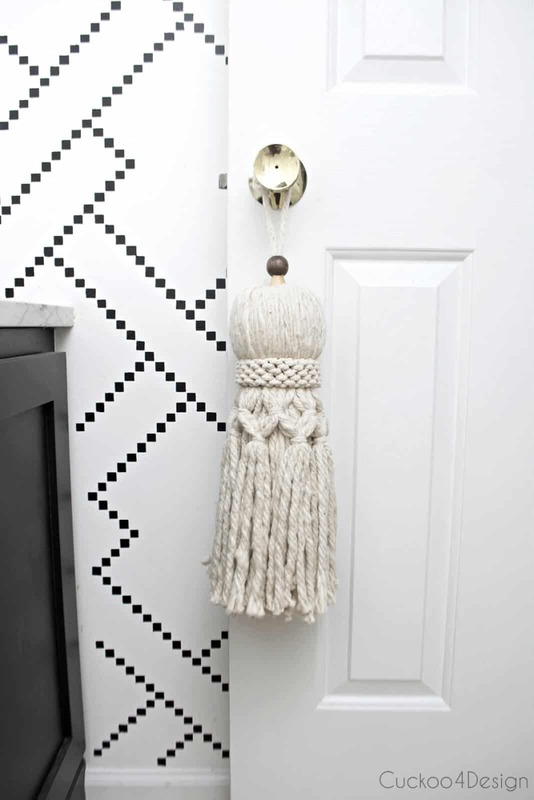 This craft is perfect for anyone. 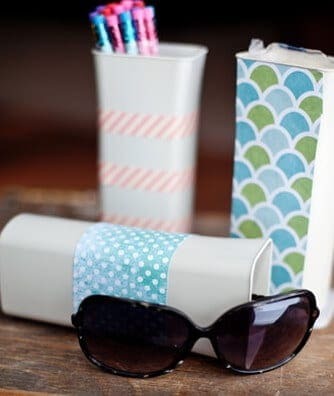 All it takes is some tape and paint and you’ve got pencils that will inspire your kids to use them! 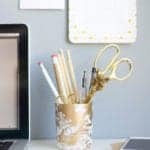 TheCraftedLife.com has this easy peasy craft and many more, so head on over! 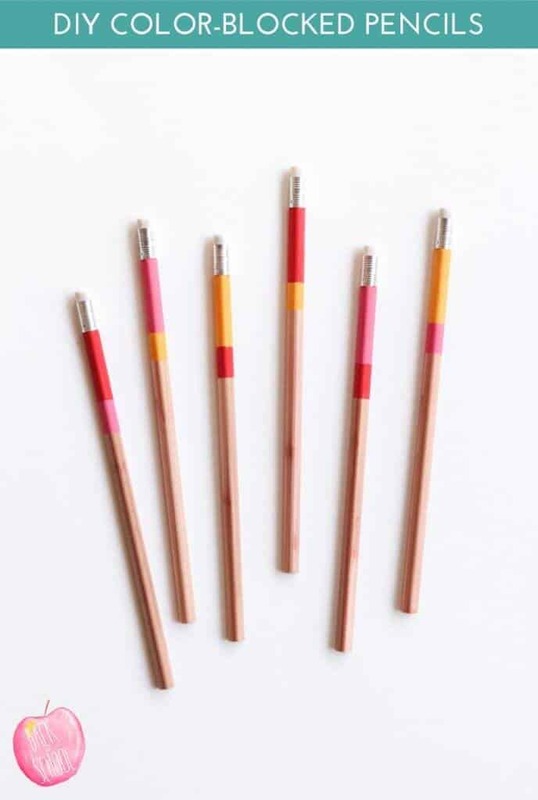 Now that you have cute pencils, you’ll need somewhere to store them right? 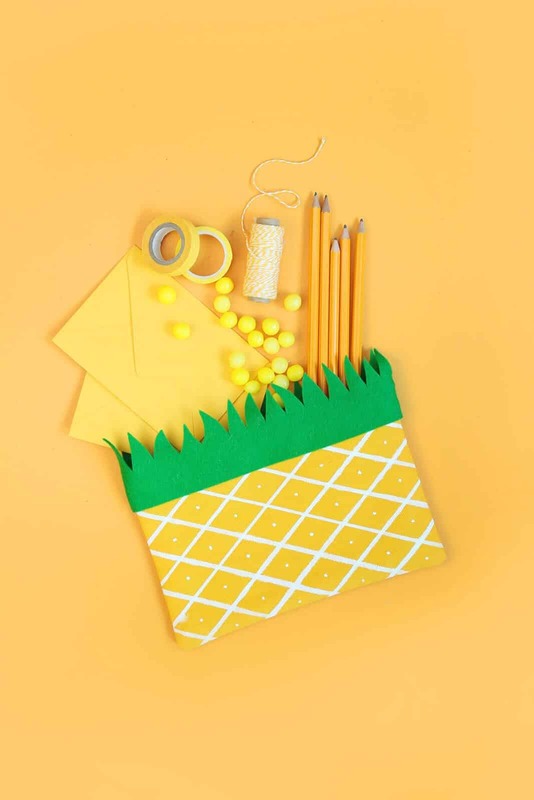 Well I can’t think of anything cuter than this pineapple pouch! It’s made from a canvas pouch and a felt border. I’ve seriously never seen something so adorable. Pop on over to DamaskLove.com for a tutorial on making your own. 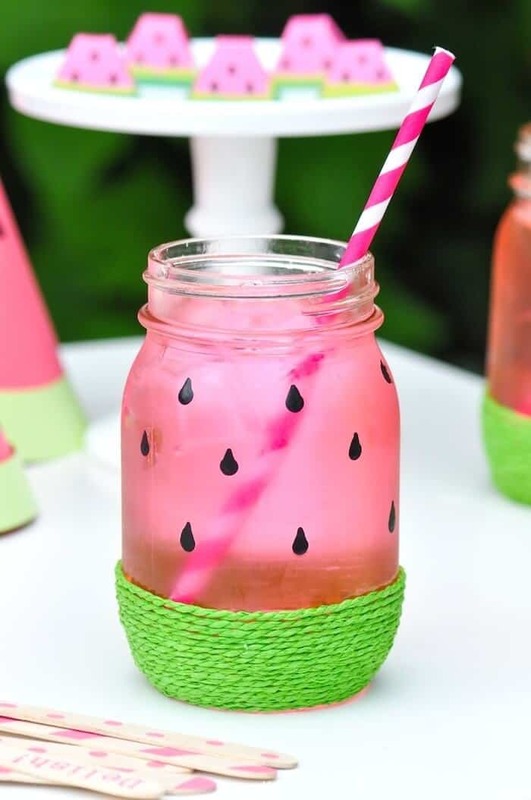 They’ve even got a watermelon and strawberry version too! 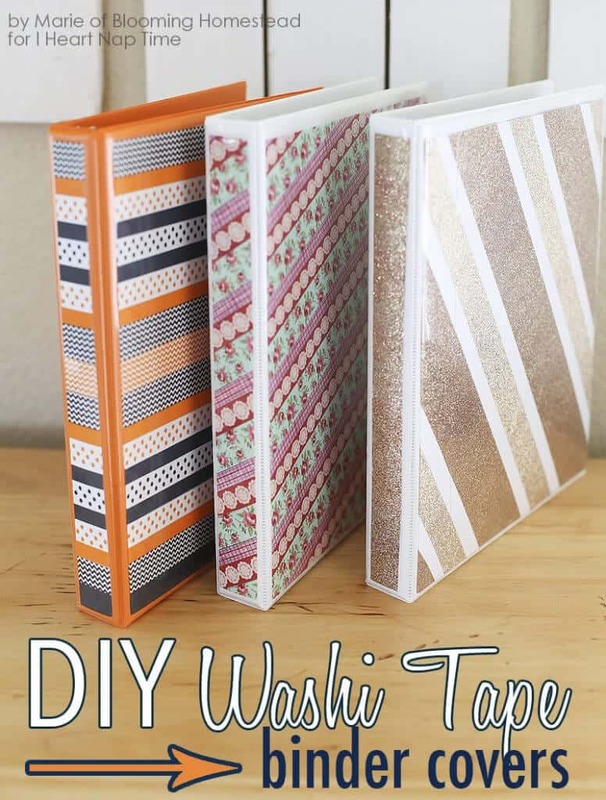 Forgot those boring binders, dress them up with Washi Tape! This is a great craft older kids who can tackle it themselves. 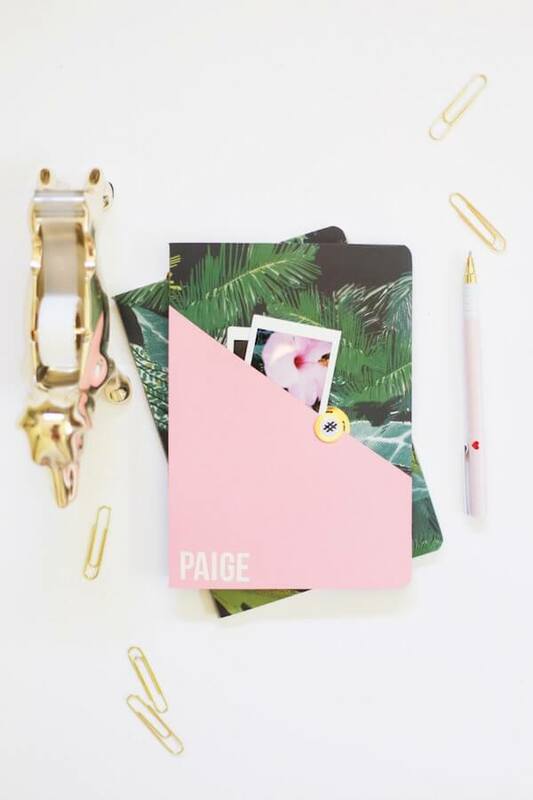 They’ll love customizing it with whatever colors and patterns of washi tape they want. Hey, while you’re at it, make one for yourself! 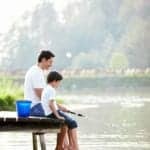 IHeartNaptime.com is the leading site on making the most of your kids’ nap times! 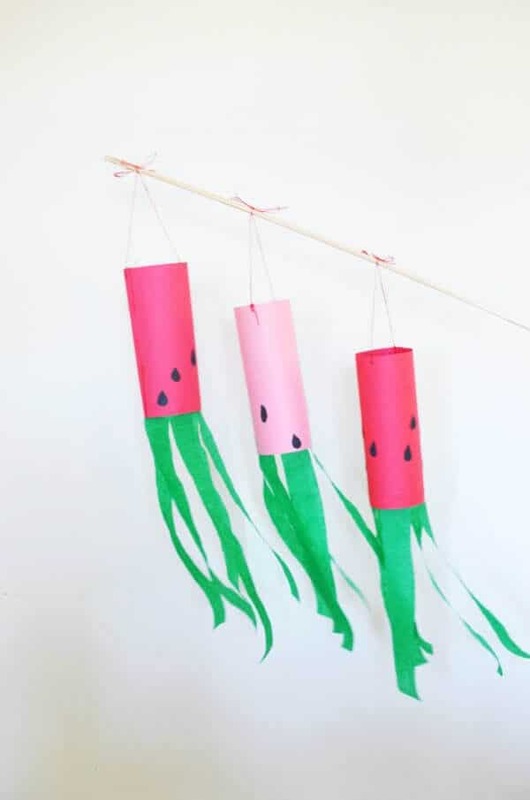 Check it out for tons of crafts that you can do in 2 hours or less. Keep your little reader inspired with these handmade bookmarks. From start to finish, your kids can pick the paper and embellishments that show off their own personality. If these won’t get them excited to read, I don’t know what will! 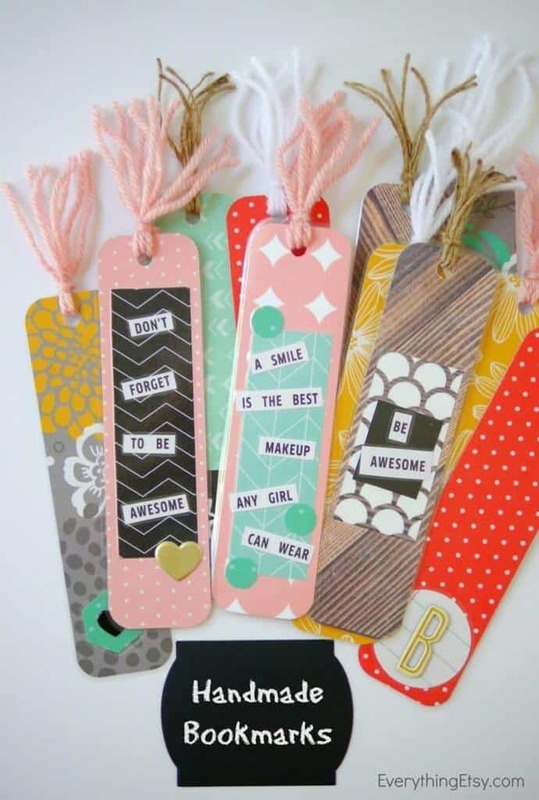 Visit TaterTotsAndJello.com for the exact details on making your own handmade bookmarks! I don’t know about you, but I love shopping for school supplies! The smell of fresh paper and a clean stack of Post-It’s? Just stop, I’m getting too excited. What’s even more exciting is this aweome school supply station that not only keeps everything organized, but looking pretty too! 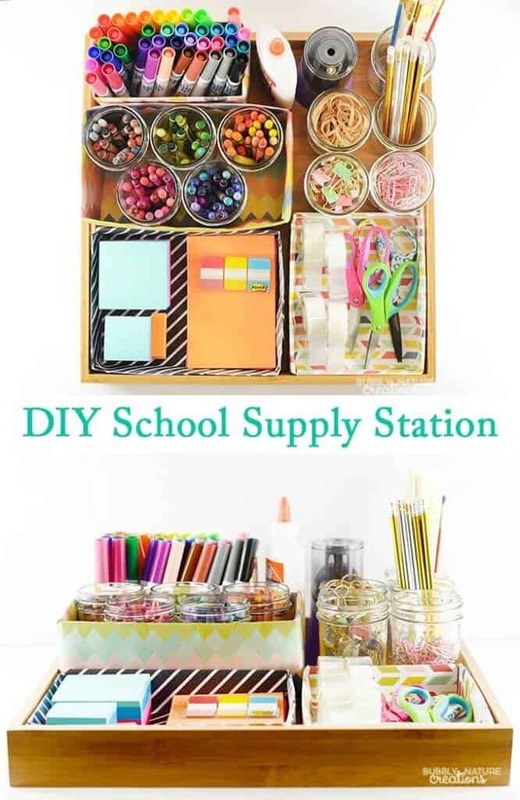 Check out SprinkleSomeFun.com for tips on making your own school supply station! Tired of buying zip locks, or maybe you’re just trying to be more earth friendly? Then you need one of these reusable snack bags. 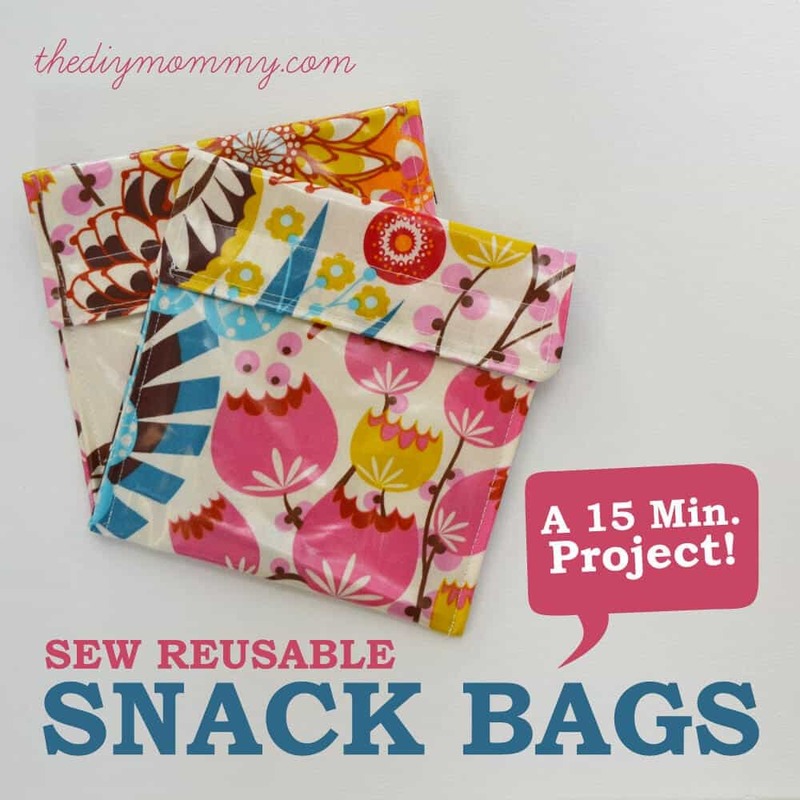 Some simple sewing and your kids will have a stylish way to enjoy their school snacks, and you won’t have to keep wasting money on plastic baggies. Now you just need to train them to not toss them, and bring them back home! 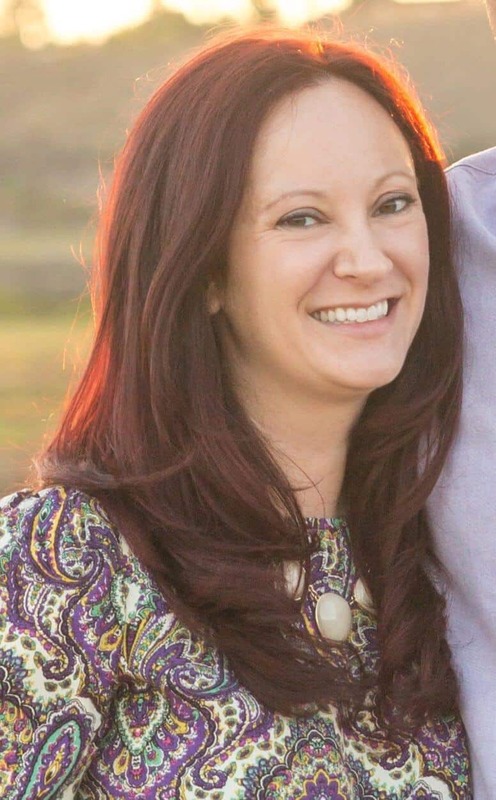 You’ll definitely want to visit TheDIYMommy.com to see the full sewing tutorial!